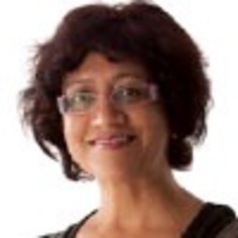 Professor Reena Tiwari is Fellow of the Curtin Academy. As a researcher Reena has published extensively on space psychology and place-making; urban ethnography and community engagement; sustainable transport and urbanism. Reena is passionate about democratic architecture and development and has forwarded a model of enquiry which is ethnographic, collaborative and trans-disciplinary and has a goal to facilitate change and adaptation for all involved in the process. As an architect, urban designer she has been a professional advisor to a broader academic community and industry and has successfully worked on competitive research projects for the Australian Housing and Urban Research Institute, Aus-Aid and the Australia-India Council. International significance of her research work and leadership in the area of urban studies, community development and international cooperation is demonstrated by her ongoing research work with the University of California, Berkeley and University International Catalunya, Spain. She has a continuing involvement in the International Cooperation Program which is run by the European Union under the prestigious Erasmus Mundus umbrella and supported by UNESCO and UN Habitat. Tiwari received the Australian National Award for Teaching Excellence in 2013 for leading and inspiring a model of teaching and research which has established a point of difference in the profession, with its commitment to community engagement and philanthropy (including Lakhnu rural development project in India, Slum Action project in India, Wedge coastal shack community project in Western Australia, To Walk or Not to Walk project in New Delhi, and Body performance in East Perth project for which support and funds were received from industry and professional bodies including the Department of Education, Employment and Workplace Relations WA, Department of Planning WA, Department of Transport WA, City of Canning (Perth), Clean Air Initiative Asia (Philippines) and EMBARQ World Resource Institute (Washington). Reena has been invited as consultant for sustainable development projects in India and Italy. Prior to moving to Australia in 1996, Reena headed her own design consulting company Creation Architects and Engineers which undertook housing projects in India. She thus has a global perspective and wide ranging experience on city growth and development. Tiwari has held position of the Head of Department Architecture and Interior Architecture and has been Director of International Cooperation Research Cluster at Curtin University. Tiwari is an executive committee member for Urban Development Institute of Australia, Urban Design Institute of Australia and the Society of Architectural Historians, Australia and New Zealand.